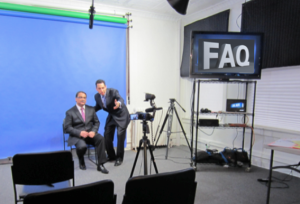 Media Training Questions Answered - Why You Need Media Training and ..
Media Training programs can be done at one of our locations or yours. Rehearsing even seasoned professionals so the are ready for anything that comes their way. These skills are essential for individuals and organizations to maximize their effect when speaking to the media. Our media trainers have skills to handle counseling, rehearsal, crisis prep, consultations for getting maximum publicity and how to use media as marketing. Any of these elements could be built into one of our customized proposals and programs. Reach out if you would like to hear how we can best build a program around you. What does a media trainer or media coach actually do? A media trainer should be able to tailor their training around the specific needs and problems of the client and not provide a cookie-cutter program. A quality media trainer will balance teaching with real, hands-on rehearsal. This means practicing with a video camera and critiquing along the way. Participants learn best by doing. It’s like learning to ride a bicycle. If you were given a lecture on how to ride, you would have an intellectual understanding, but would likely fail in the the real-world attempt. This is why our clients practice in training, and rehearse at least 6 to 8 times during a training session. This allows them to perfect or hone skills prior to facing the media. Our clients watch themselves improve and have evidence of improvement throughout the training session. Isn’t “Training” just for beginners? Rehearsal and refinement is due diligence … and any stage. In every sport, in every profession – we learn the skills we need to succeed and achieve goals we’ve set. Getting ready to face the media is the same. We work with some clients who are just starting out and many clients who have a great deal of experience. They are often looking to rehearse with an expert and get feedback. This is what takes their game to the next level. Some clients come to us looking to create a foundation while others seek advanced media skills. There is likely a reason why you are speaking to the media. It could be because you are trying to sell a product. It could be reputation management. It could be because you have been appointed as a spokesperson for your organization. No matter what the reason is, you are seeking a specific outcome. Training provides you the best and fastest path to that outcome. We have many executives who see the training or “rehearsal” as a necessary part of doing the job right. Our trainers each have more than 15 years experience in media. This includes time both in front and behind the cameras. Jess Todtfeld, our president and lead trainer was a TV producer on the national level for 13 years (ABC, NBC, and FOX.) After leaving television and founding Success In Media, Todtfeld realized he had to practice what he preached. While promoting his own books or commenting on stories in the news, Jess Todtfeld gave and continues to give interviews on TV, radio, and print. Those interviews have been seen on CBS, NBC, FOX, ABC, CNN as well as many others. In 2009 he set a Guinness Record for most interviews given in 24 hours (on radio.) The final tally was 112 interviews during the 24 hour period. Will the media know I’ve been trained? We have a variety of services and programs to meet your needs. We run public workshops as well as private, tailored programs. Are there public speaking or presentation needs? We can build this in. If you want to magnify your publicity efforts, we might include our PR Secret Weapons kit based on the Guinness Record setting campaign. Is there a specific outcome or result you are hoping to achieve from media interviews. This is where we begin and where we end when we create a program to fit your needs. Contact us today – Click here to request a quote. Don’t go out without a plan. Don’t go out without practice/rehearsal. Don’t neglect to learn the systems to be able to be in control during interviews. Do your due diligence. Prepare by learning the message system (a system to easily remember and deliver messages you would like in a story.) Do learn answer techniques. These techniques give you many ways to steer interviews without sounding like you are dodging questions. Do learn sound bite and leverage techniques to get the most out of every media opportunity. Are media training and presentation training the same? I’ve had some training, but it hasn’t resulted in sales, or the outcomes we were after. Do you talk about sales? Absolutely. We practice outcome based training. We will talk about the results you are after and give you the tools to get what you need. Some are sales techniques merged with media training techniques. Others are our own brand of methods to help you achieve your goals. I’m thinking about training but am not sure if it is right for me. Any suggestions? Yes. Give us a call. We are happy to talk about your situation and even give some advice. We will never push or hound you to join a program. We will simply listen to your situation, give some concrete advice, and give suggestions should you want to take next steps. If this sounds like something you would benefit from, give us a call and start down the path of making the right outcomes happen.